2016 Election Update – Who Is Bernie Sanders? Since the presidential election cycle has started, we have spent a great deal of time spotlighting the Republican candidates, particularly Donald Trump who is still, as of this writing, the Number One pick on the Republican side with the highest rating; according to the latest poll by Public Policy Polling in NH on August 25, Mr. Trump sits comfortably at 35% followed by John Kasich with a mere 11%. In the Democrat side, there is as much unexpected “turmoil” as in the Republican Party. 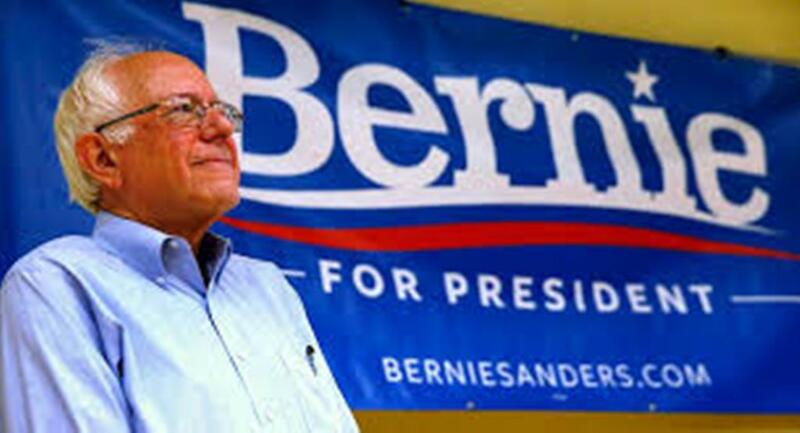 Bernie Sanders, – whom I’ve labeled (loosely) the Donald Trump of the Democrat Party – has been making a lot of waves, causing a lot of headache to Hillary Clinton’s campaign; to no fault of Bernie however, Hillary has been struggling for better traction since FBI announced that a criminal probe for her use of private server while secretary of state is under way. In the meanwhile, Bernie has been cruising freely, collecting more and more support among the disenfranchised, the disenchanted and all those who dislike what Washington stands for. Who is Bernie Sanders? According to his website (https://berniesanders.com/), Bernie Sanders is a Democratic candidate for President of the United States. He is serving his second term in the U.S. Senate after winning re-election in 2012. Sanders previously served as mayor of Vermont’s largest city for eight years before defeating an incumbent Republican to be the sole congressperson for the state in the US House of Representatives. Who is he exactly? On his website, the slogan “Ready to Start a Political Revolution?” is displayed prominently near the top. The slogan says it all, Bernie Sanders wants to revolutionize politics in America. To judge by the larger and larger crowds that have attended his rallies, it seems that Bernie is on track (at least for now) to succeed. Of course, Hillary Email-gate problem is helping as more and more of her supporters and mostly “those on the fence” are jumping on Bernie’s wagon in droves. In Washington, Bernie is known as one of the few Independent Senators (there are only two, the other is Angus King, Maine US Senator) who side with Democrats on some issues, with Republicans on others. For the past few years, Sanders has been making the round on TV networks giving interviews on various issues which are hot topics in Washington. The country being predominantly a two-party affair, the media has been blatantly, overtly biased towards third-party candidates, a very big disadvantage for anyone running for public office as Independent candidate; however, Bernie has proved thus far he is a winner despite the ever present looming disadvantage; he not only managed to win the Senate seat in the State of Vermont in 2006 but he also got re-elected in 2012 with a very large margin of the popular vote, over 70%. But Can He Win the Nomination For President? Although an Independent Senator in Washington, DC representing the state of Vermont, Bernie is running for the office of the presidency as a Democrat. It is already a very smart move on the part of Mr. Sanders. He is very aware of the political landscape on the national stage; third party candidates do not fair well; the media is complicit in squashing any chance they may have. Even the most extreme candidates on the Republican side, such as Ted Cruz, Rand Paul, Scott Walker, know better not to run as third party candidates. So Bernie is right to run as a Democrat, the party he most closely identifies with. Mr. Sanders described himself as democratic socialist and he favors policies similar to the social democratic parties’ in Europe, most specifically those instituted by the Nordic countries. Although most US media’s references to (European) socialism are unflattering, the crowds that have been attending Bernie’s rallies see no objection to Bernie’s philosophy regarding the issues (social, economic, political) that have plagued the country for so long. In the Senate, Bernie stands out as a leading progressive voice, fighting against income inequality, and fighting for universal healthcare, parental leave, LGBT rights, racial discrimination in the criminal justice system and campaign finance reform. Like most conservatives, Mr. Sanders is not fond of US foreign policy; he was one of the few who voted against the Iraq War. Bernie’s distaste for US foreign policy is limited to its widespread involvement across the globe but he doesn’t relinquish the rights to use force when necessary to defend the nation. Even the most superficial analysis of Bernie’s agenda for the country would leave one to decide today that Mr. Sanders is the right person for the job of the presidency. There are however many factors that could hamper its success as the next president, one of which – although an asset in many ways – is his age. Frequent health issues could prevent or in the best case scenario slow down his march towards the White House. And in the case of a win to the Oval Office, Bernie may not enjoy good health to implement and work his agenda. This is by no means a verdict on Bernie’s campaign. Far from it! US constituency pays very little attention (if at all) to any of those factors when choosing and electing an individual for office; past selections (of candidates) are plenty proof that US constituency elects candidates which are better at mudslinging his opponents. That could be Bernie’s Achilles heel; he refuses to engage in fight with other candidates. Mr. Sanders judges it more important to outline his vision for the country than to squabble with other candidates; it is working, for now anyway. If one were to judge by the facts that two unorthodox candidates (Donald Trump on the Republican side and Bernie Sanders on the Democrat side) have attracted, mobilized so many at such an early stage, one would conclude that the seasoned politicians are at great disadvantage. For the time being, they are. On the Republican side, fear has set in; every strategy to taper Trump’s surge in the polls has failed. On the Democrat side, Hillary seems unfazed by Bernie’s surge –at her own political peril – but is fearful of a Biden bid, according to sources close to Mrs. Clinton. Can Bernie win the Nomination for President? Analysis of the upcoming debate slated for October 13 in Nevada would provide plenty of information about the candidates. We may even reveal who is going to be the nominee for the Democrat Party and which Republican counterpart he may face in the general election. This is the only blog which will reveal such information early in the presidential election cycle.